Coming in at $399 the Rokker Rider Raw Shirt is a great addition to their high-end line of denim products. The jacket looks fantastic and will be great for both casual wear and for protection while riding. The Rokker Rider Raw Overshirt is made with 13oz. raw selvedge denim and has an American fit to it much like the other Rokker products. 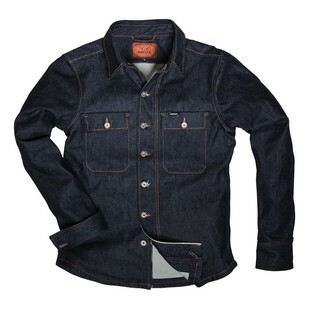 The jacket has beautiful contrast sticking and the style is very similar to many of the high-end fashion denim brands. The jacket features a full Schoeller-Dynatec lining with pockets for full D3O armor. The Rokker Rider Shirt is a great alternative for those who want casual styling while still having high-level protection. This jacket looks as though it will even be great for layering under winter gear. I am very much looking forward to the release of this jacket as I am sure it will be quite popular this spring.